For some couples, a typical wedding ceremony just doesn’t cut it—why have your feet planted firmly on the ground when you can have them planted firmly in a hot air balloon? Or falling mid-air with the rest of your body? If it sounds crazy, well, that’s because it is! But that doesn’t stop people from doing it. For the daredevils and adrenaline junkies among us, here are seven ways you can make your special day an unforgettable and exciting experience. Take the ultimate plunge into marriage! What says I love you more than falling 12,000 feet into the rest of your lives together? Surprisingly, skydiving weddings offer quite a bit of flexibility. You can take your last jump as single people and exchange vows after you’ve landed, or you can get married before you jump from the plane and christen your marriage with the jump. For a jump that’s a little less extreme, you can say I do and then bungee together off a bridge! 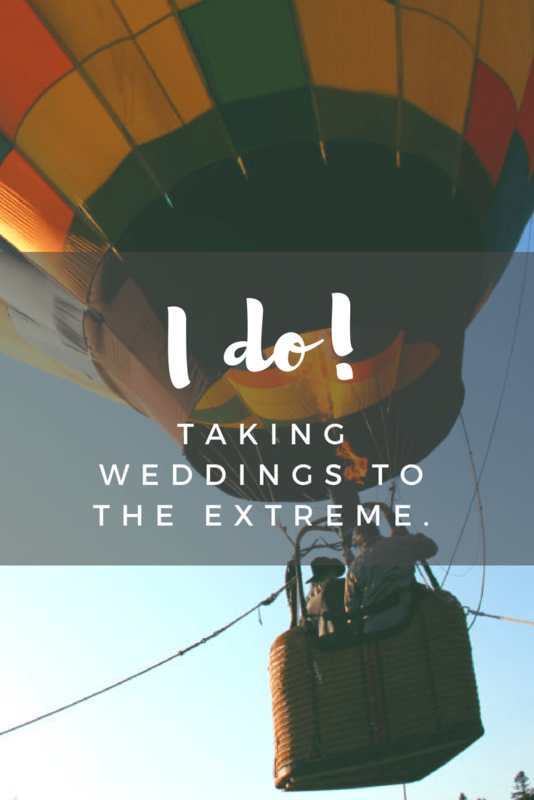 You might not be 14,000 feet in the air—the highest bungee jump was only 764 feet—but you’ll still get that rush of adrenaline along with an unforgettable wedding. For newlyweds, jumping together, or tandem jumping, is the way to go—if you’re nervous, your new husband or wife will be right by your side the whole ride down. You can still have a wedding high up in the air, even if free-falling isn’t quite your thing. A hot air balloon wedding is peaceful and romantic, while still being unique and extreme. Exchange vows at heights of around 2,000 feet—perfect to see all the beautiful scenery. 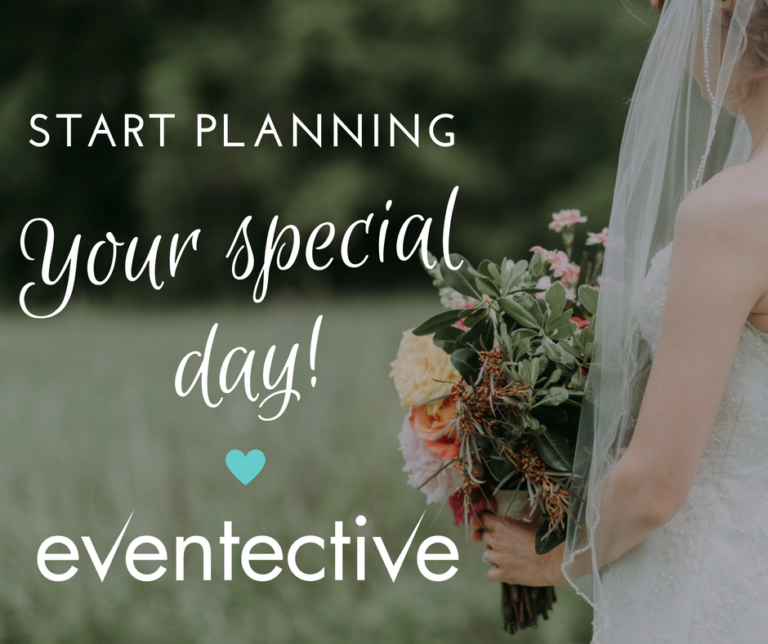 And because hot air balloons range in size, you can have a small ceremony with just you, your betrothed, and the officiant—or you can rent a balloon that can fit 14 people and include your whole bridal party. Imagine the photos from that day! For scuba divers and ocean lovers, an underwater wedding is the ultimate way to tie the knot. An underwater wedding can be performed in an aquarium or in the ocean, either with or without underwater speaking devices for exchanging your vows. Some couples choose to bring waterproof slates so they can write their vows. No matter how you choose to say or write your vows, be sure to take a few scuba lessons beforehand—you’ll both want to feel comfortable underwater with all the equipment before The Big Day. They say love gives you wings, right? Why not celebrate your new wings in an exciting helicopter ride. Say your vows as you fly over the dazzling lights of Las Vegas, or as you glide over the scenic beauty of the Grand Canyon. With limited seating in a helicopter, you get both an intimate and adrenaline-filled wedding ceremony you sure won’t forget. If you want your friends and family there during the vows, say I do after you’ve landed where your loved ones are waiting. Experience the ups and downs of marriage with your spouse on your wedding day—literally! For a short and sweet—and definitely not boring—twist, get married on a rollercoaster. Play it “safe” and exchange vows before you and your wedding party take off, or add an extra element of excitement and find an officiant brave enough to marry you while you’re on the ride. Just be sure your bridal party has strong stomachs! Wedding in Space — Coming Soon! How about a wedding that’s out of this world, literally? Since their engagement in 2005, motivational speaker Cindy Cashman and now-husband Mitch Walling have been planning to get married in the first ever wedding in space. They did have a typical earth wedding in 2006, but fingers are still crossed that space tourism will become a reality in time for an ultimate adrenaline-rush wedding.